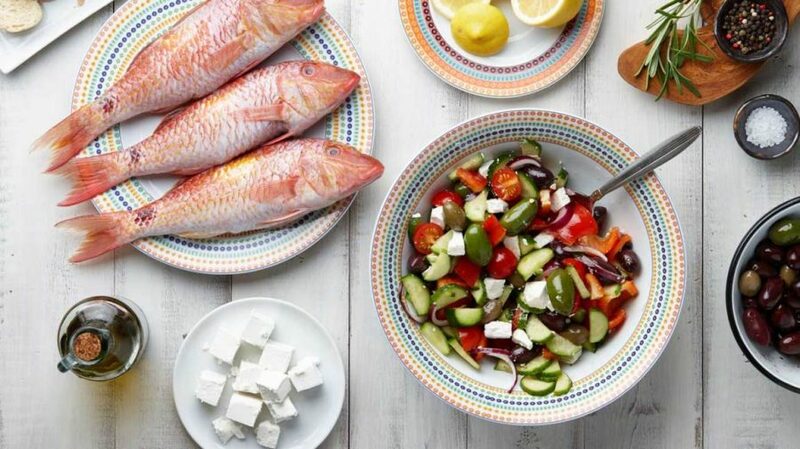 A Mediterranean diet is a traditional diet of people from countries bordering the Mediterranean sea like Greece and Italy. Back in the 20th century, when the risk of heart diseases was high all around the world, people living in the Mediterranean region had a lower risk of heart diseases and other lifestyle diseases too. 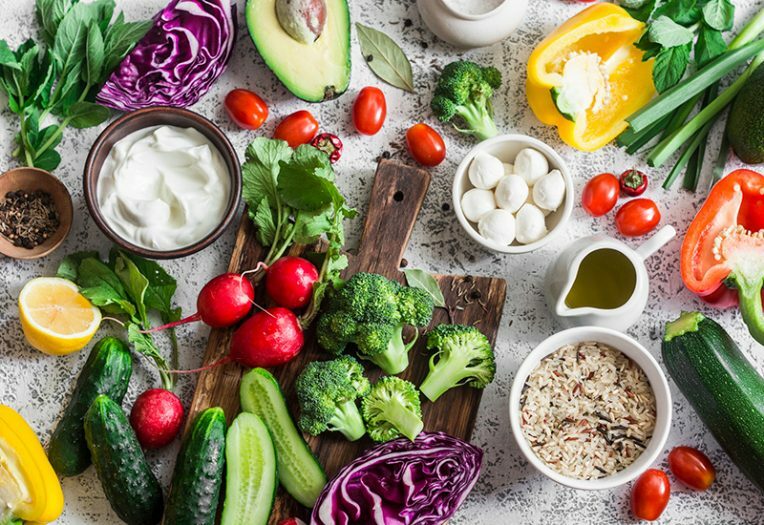 Since 1950s, Mediterranean diet has always been of interest, when research conducted by Dr. Ancel Keys found that following a Mediterranean diet pattern benefits the body, cuts down the risk of diseases and improves survival from heart diseases. Eat a diet abundant in whole fruits and vegetables, fiber-rich cereals, beans and nuts and oilseeds. Eat foods that are close to the nature and minimally processed. Include seasonally fresh foods, especially the ones that are locally grown. Limited your intake of sweets and refined sugar. Replace your typical daily dessert with fresh fruits or dried fruits like dates, apricots and raisins. Choose high quality fats. 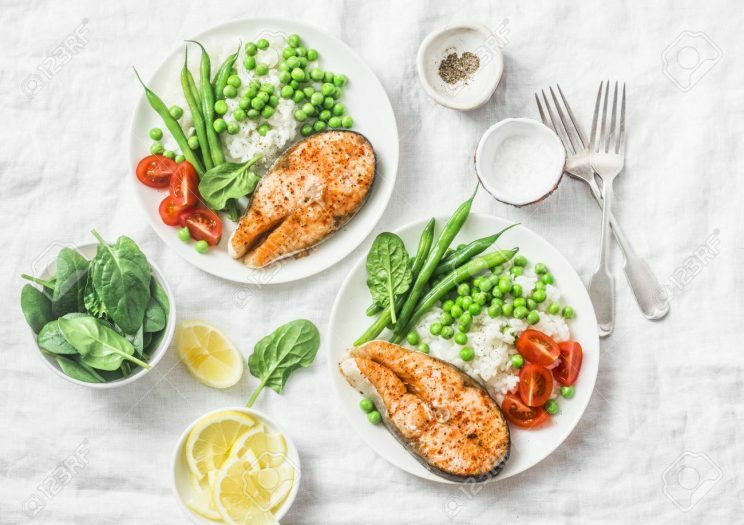 The Mediterranean diet not only focuses on the quantity of fat used for cooking, but it also emphasizes on the use of good quality fat for cooking. The primary source of fat in the Mediterranean diet is olive oil. The overall fat intake is moderate and limited to 30-40% of the total energy intake. The dairy intake is usually low to moderate and cheese and yogurt are mainly consumed. When it comes to protein sources, red meat and eggs are consumed in small amounts. Seafood like fatty fish is consumed in moderate amounts. Among all the alcohol options, the Mediterranean population loves wine. Low to moderate amounts of wine are consumed with meals. Dietary salt is substituted with herbs and spices to enhance the flavor of the food. Aim for three to five servings of fresh vegetables per day. Include more of green leafy vegetables and dark-colored vegetables. Snack on nuts and oilseeds instead of chips and other snack foods. Keep unsalted almonds, cashew nuts, pistachios and walnuts handy. Replace butter and margarine with healthy oils like olive oil and canola oil. You can also use a sugar-free peanut butter or almond butter. Replace oil-laden dips and dressings with healthy dips or spreads like tahini or hummus. Choose whole grain, fiber-rich cereals over processed cereals that contain little or no dietary fiber. Enjoy small portions of low-fat cheese and yogurt. Vegetarians or vegans can consume plant proteins like dals, pulses, beans, nuts, tofu or low fat cottage cheese. Whereas, non-vegetarians must opt for skinless chicken and turkey and fresh water fish like salmon, trout, mackerel, tuna and herring. Substitute fish and poultry for red meat. If you choose to eat red meat, choose the lean cuts and keep the portion sizes small. Use herbs and spices to season the meals rather than salt. If you drink alcohol, limit it to no more than one glass for women and two glasses for men.